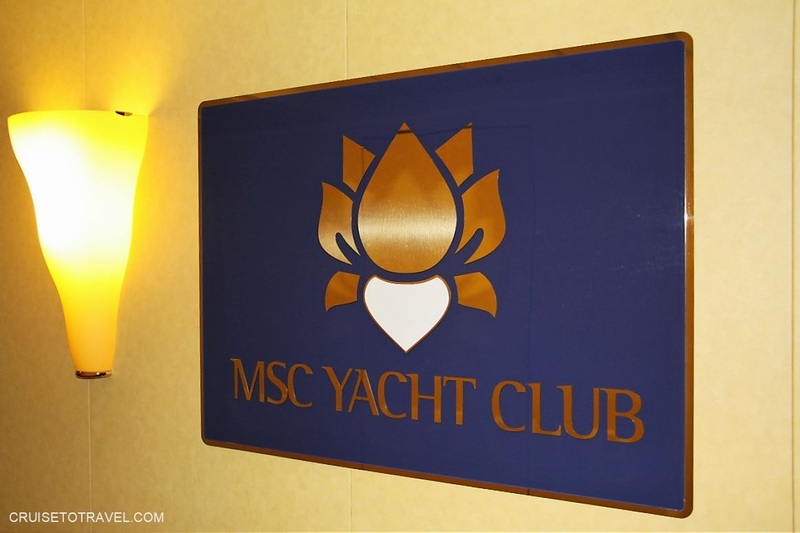 For those guests demanding the highest standards of luxury and privacy, or guests who simply want to celebrate a special occasion in style, MSC Cruises created the MSC Yacht Club. Italian designer suites with their own Concierge reception, a lounge with spectacular panoramic views, a private sun deck with swimming pool, gourmet cuisine in a private restaurant and an exclusive twenty-four hour butler service are all part of the all-inclusive cruise experience in the exclusive Yacht Club. The luxury of the all-inclusive MSC Yacht Club can be found on board MSCPreziosa, MSC Divina, MSC Splendida, MSC Fantasia and the new MSC Meraviglia and MSC Seaside. 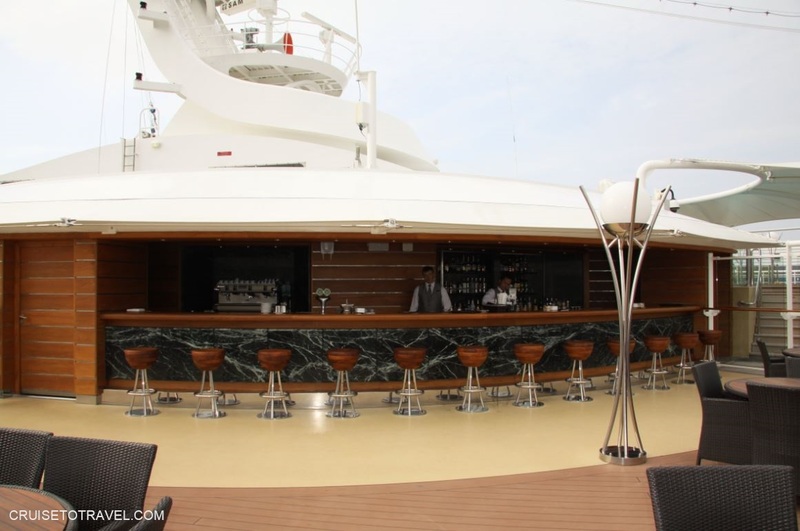 During our recent cruise on board MSC Splendida we were invited to an exclusive tour of the ship’s VIP area, also known as, the MSC Yacht Club. 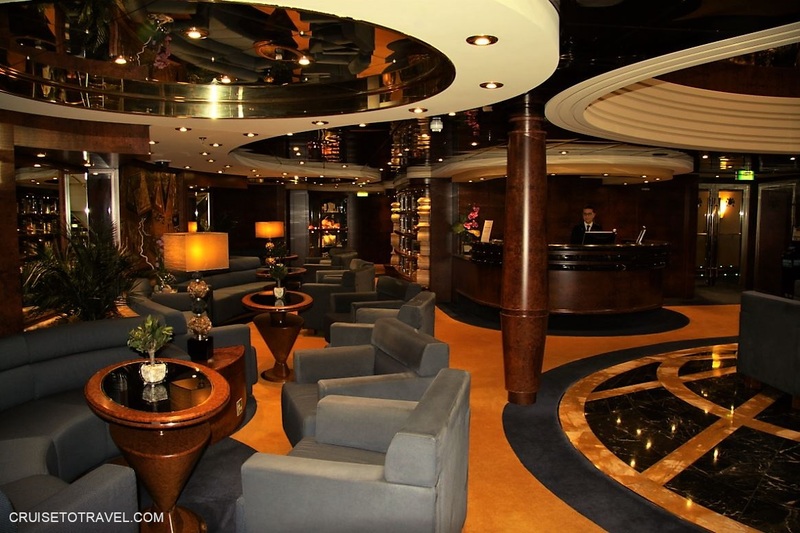 Designed as a ship within a ship, the entrance to the Yacht Club is exclusively reserved for guests staying in the VIP area of the ship. 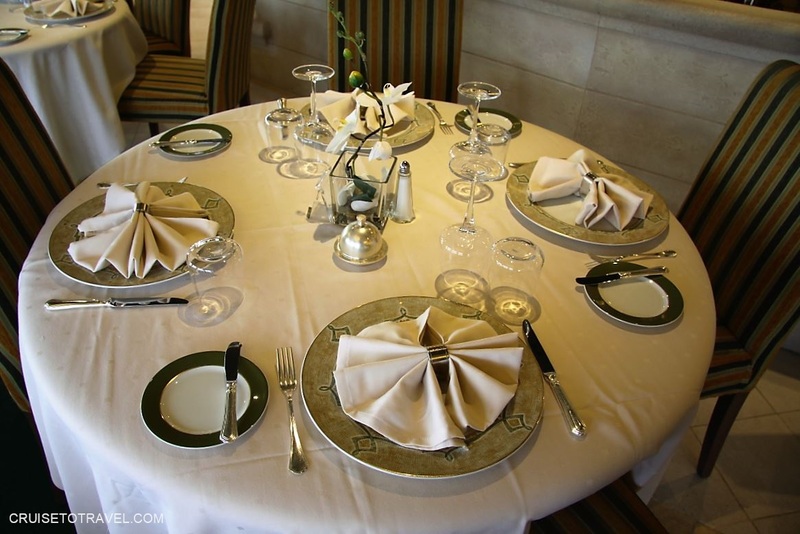 One of the many privileges guests in the Yacht Club enjoy is an exclusive restaurant. 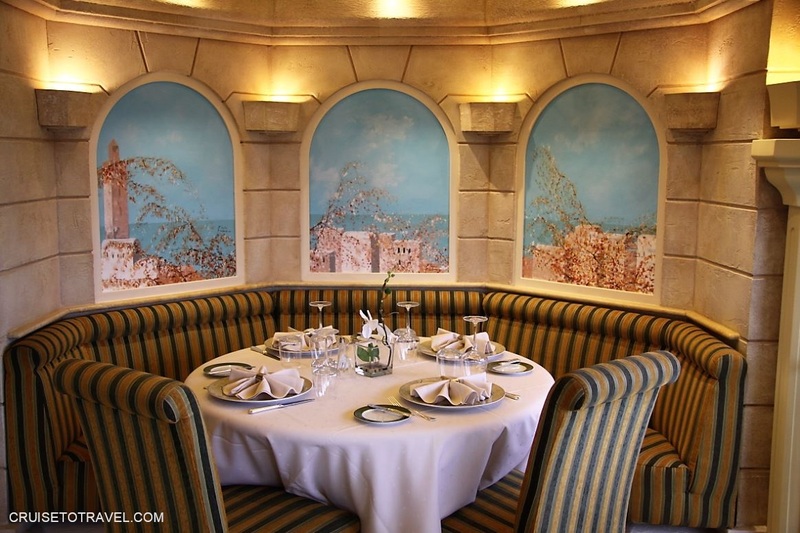 On board MSC Preziosa guests can dine in Le Palmoraie, while on MSC Divina Le Muse and on board MSC Fantasia the exclusive L’Etoile are reserved for Yacht Club guests. 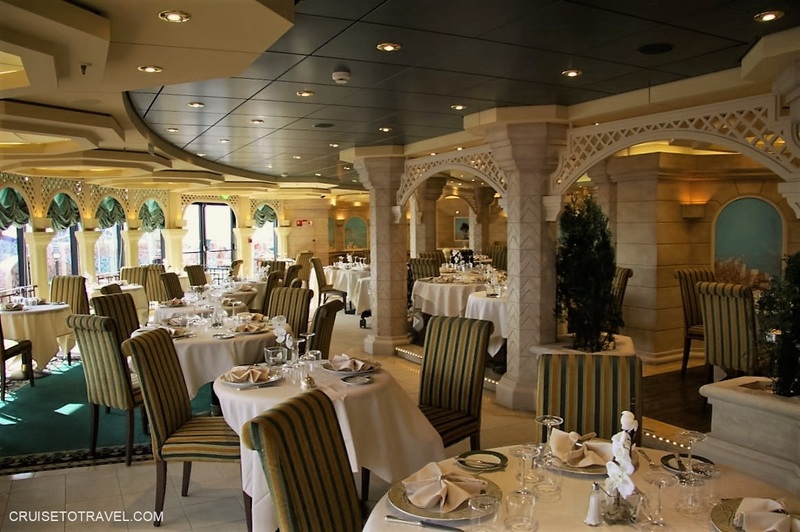 Here on board MSC Splendida guests have a access to the Italian inspired L’Olivo. Centrally located in the MSC Yacht Club is the concierge/reception area. The concierge is available 24 hours a day for any requests guests might have. These include making reservations for alternative dining and luxury spa services as well as arranging private shore excursions and onboard shopping. 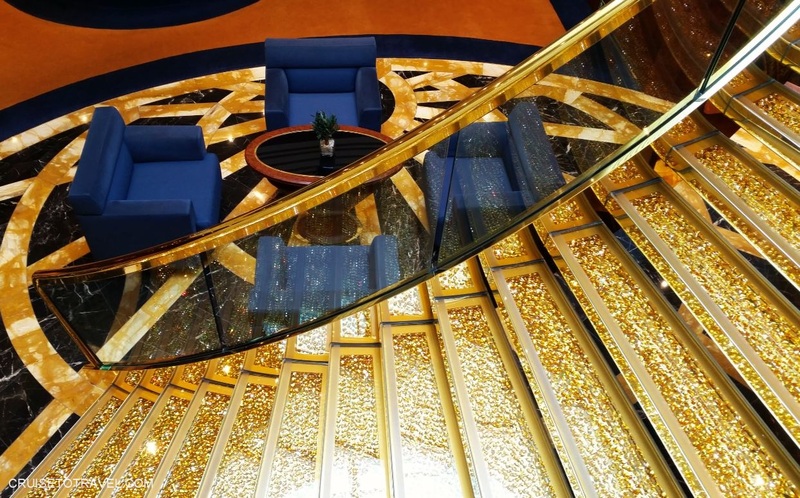 The absolute eye-catcher in the MSC Yacht Club is the staircase with gold colored Swarovski crystals in the concierge/reception area. 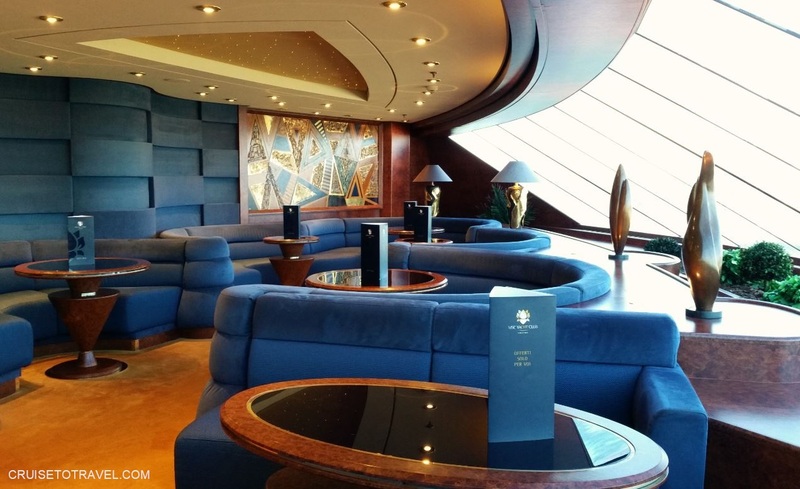 The Yacht Club features the exclusive Top Sail Lounge. 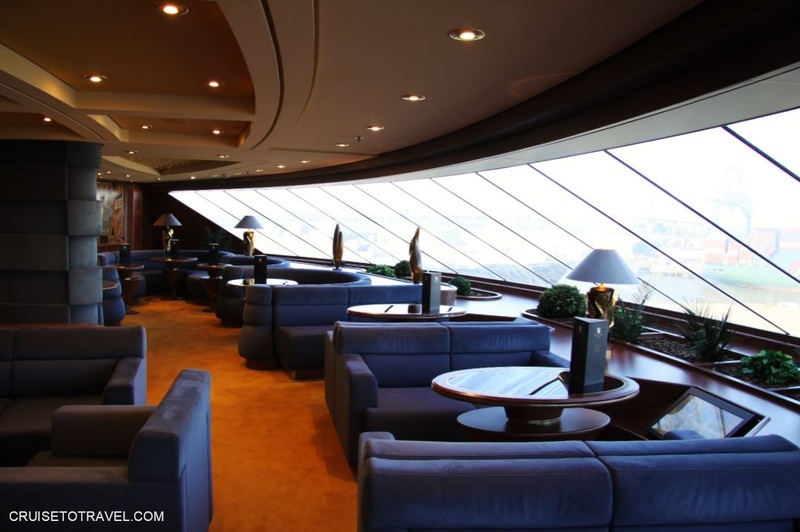 Located at the front of the ship, the Top Sail Lounge offers spectacular panoramic views of the bow of the ship. In the afternoon white gloved butlers serve traditional English tea, while a pianist plays accompanying melodies on a grand piano. 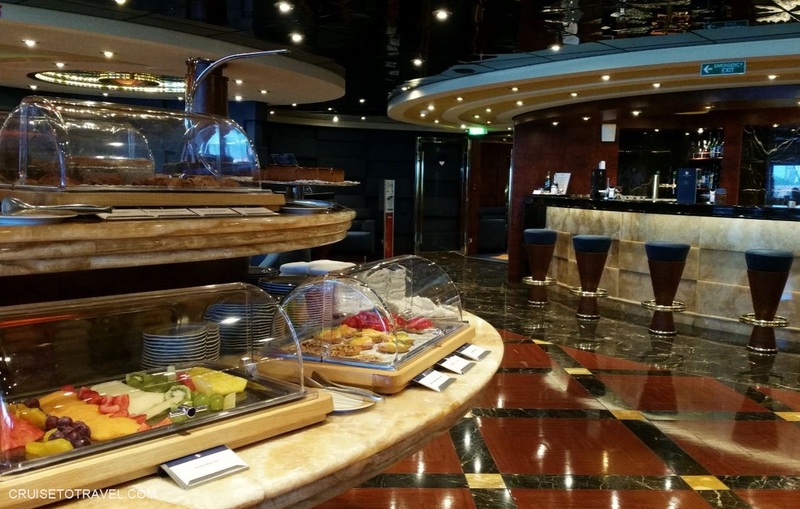 There is a self-serve station offering pastries and appetizers as well as a complimentary full service bar. Guests staying in the Yacht Club also have their own private pool deck. 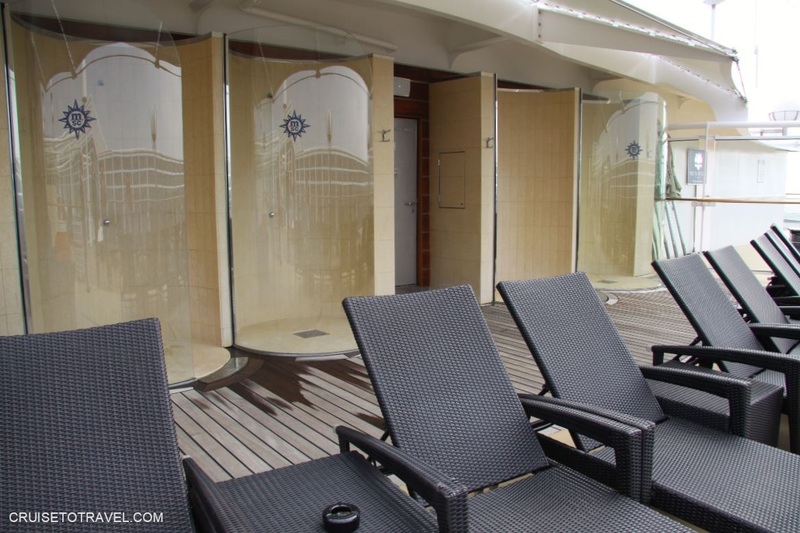 Located at the front of the ship, the One Pool Deck features a pool, two jacuzzis and a bar. 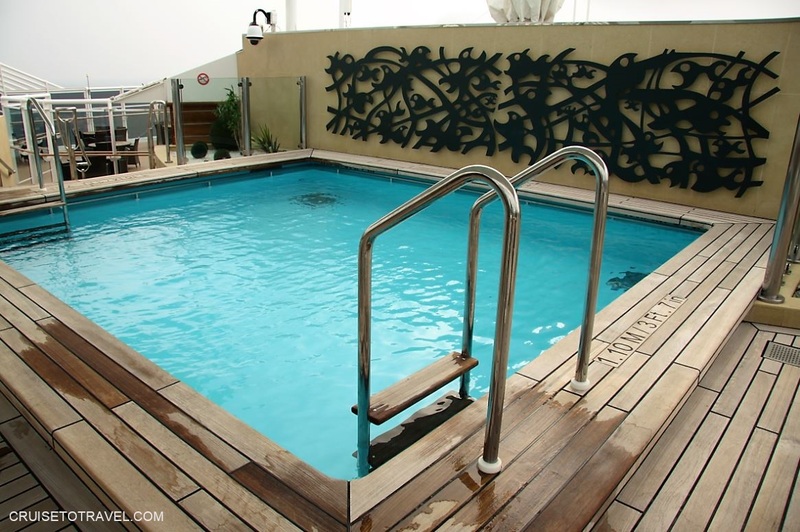 The pool deck is accessible via the Yacht Club or a private lift on the main pool deck. 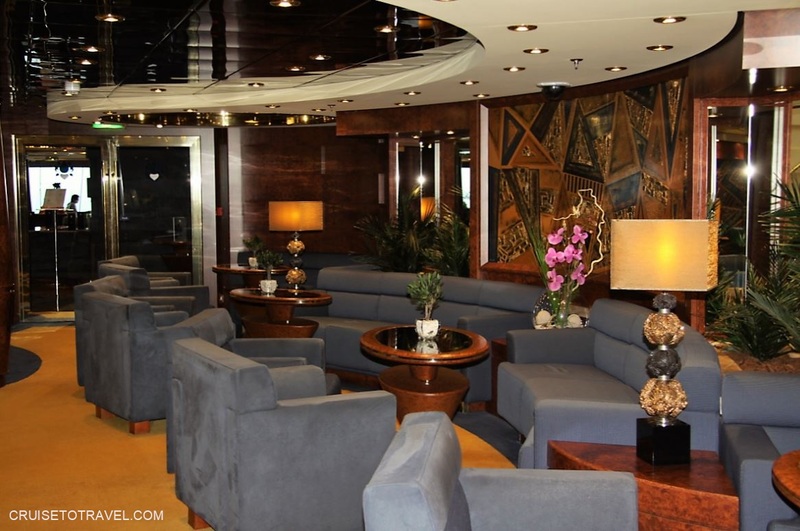 The 99 suites in the MSC Yacht Club are all located at the front of the ship, near the concierge desk and the Top Sail Lounge. These suites range from 23 square metres to 53 metres. 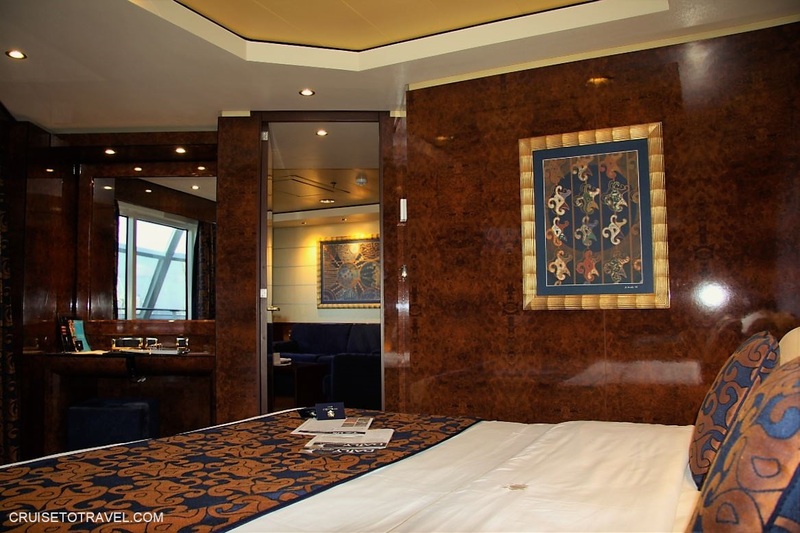 Each suite is luxuriously decorated in the typical blue and brown Yacht Club color scheme, and features a private balcony or panoramic window. 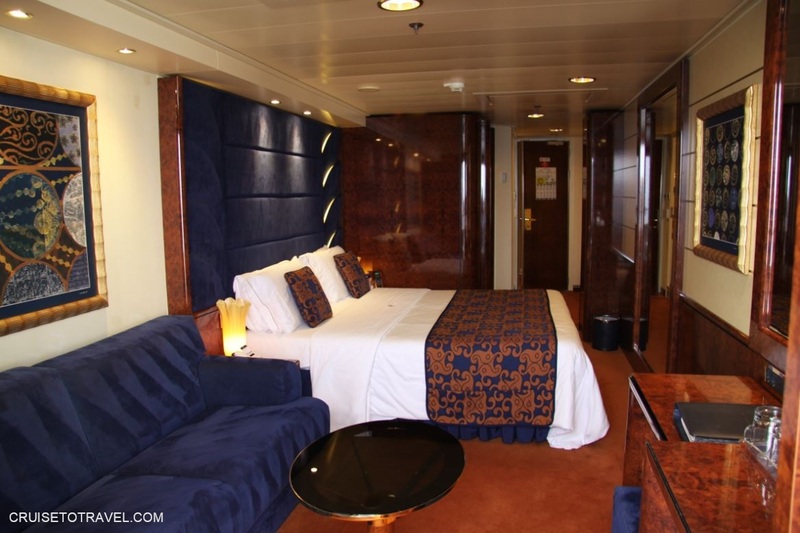 Part from all the, what we consider, normal amenities like flatscreen TV’s, air conditioning and bathrobes, these staterooms come with Nintendo WII consoles, marble bathrooms (in most suites), walk-in closets, complimentary mini-bar and the 24-hour butler service. 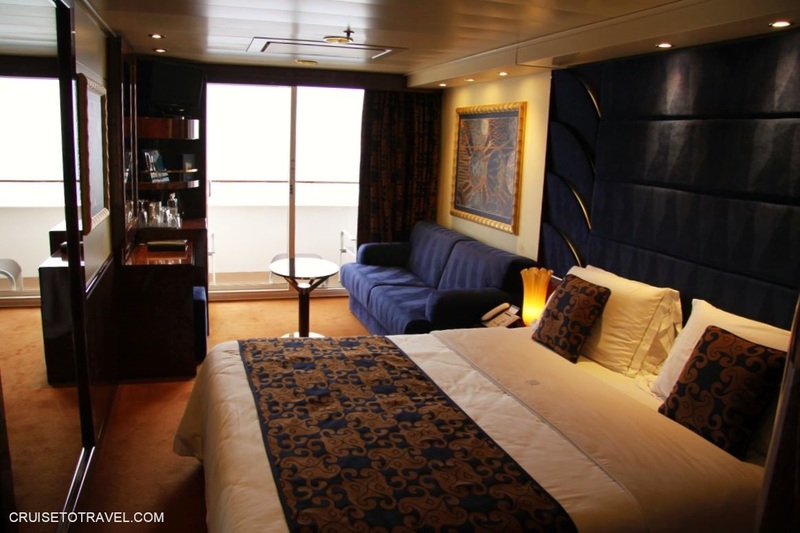 The Yacht Club onboard MSC Splendida offers 66 beautiful Deluxe Suites. They average in size from 26 to 39 sq.m. with balcony. 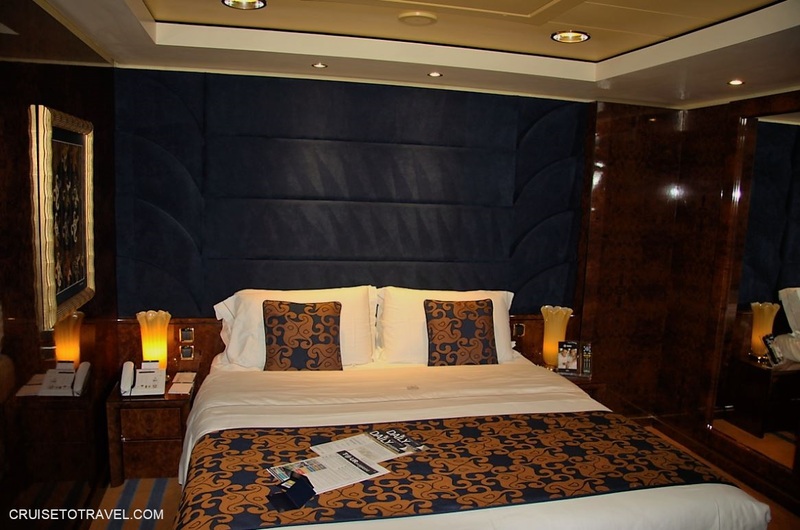 The 2 Royal Suites onboard Splendida measure approximately 52 sq.m. (including a balcony of 16 sq.m.). 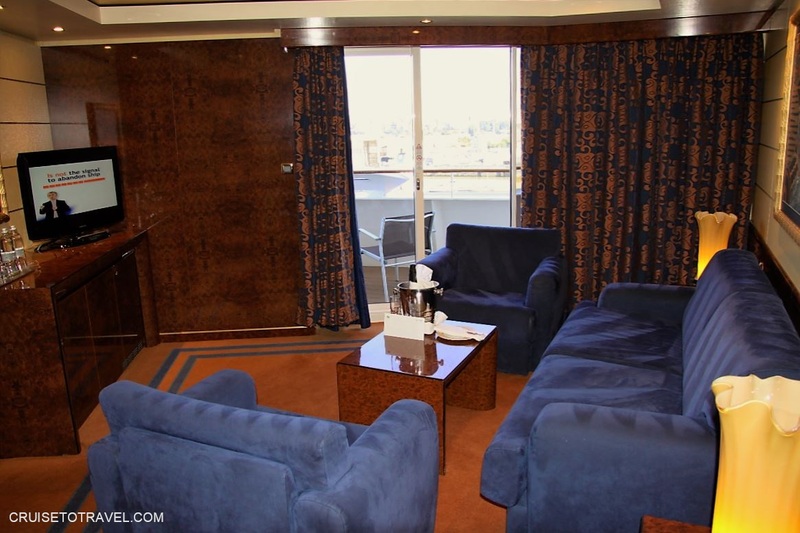 Located on the corners of the ship on the Michelangelo deck (deck 16) they offer a seperate living room and bedroom, both with access to the large balcony. 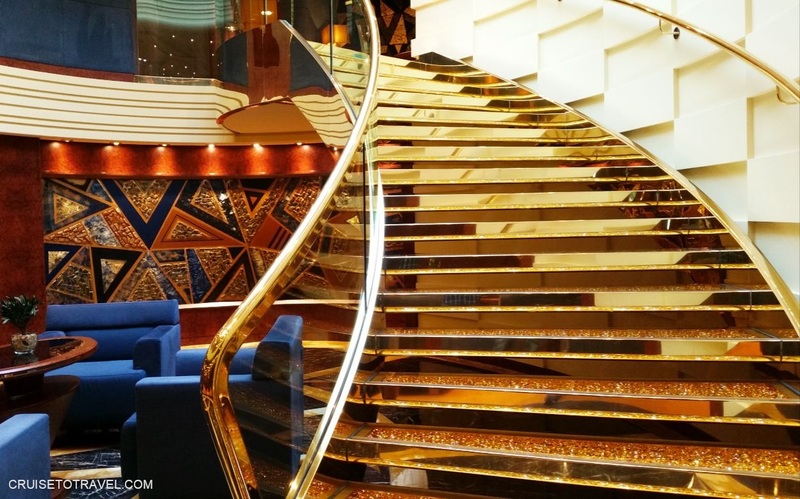 After our visit to the Royal Suite onboard MSC Splendida it was, unfortunately, time to descend the glamorous gold Swarovski stairs one last time, slowly and in true diva-style, before leaving the unique and luxury enclave of the Yacht Club. With simultaneous access to the sports and leisure facilities, children’s and adults’ entertainment, shops, restaurants, bars, music and dance venues found on board the ship, and the option of enjoying your own exclusive haven of peace and refinement, the Yacht Club offers guests the best of both worlds. We’re convinced that the elegant private club-like atmosphere, combined with an impeccable 24-hours butler service, makes every cruise in the MSC Yacht Club a cruise experience like no other, and one we definitely can’t wait to experience in the near future.